Once in a while a book comes along that changes you to the very core. Whether it is that it challenges you, gives you courage, or provides you solace, I am so thankful for these books and the way they changed me. When I read The Homework Myth by Alfie Kohn, I was shocked. Here, finally, was the research that I needed to find the courage to get rid of homework. Proving that my crazy idea was not crazy but actually had validity. If you have been questioning your homework practice at all, or wondering what to do as a parent, this is the book. Or even if you believe very much in homework, read this book to see what new thoughts you may have. I promise you it will be worth your time. Death and taxes come later; what seems inevitable for children is the idea that, after spending the day at school, they must then complete more academic assignments at home. The predictable results: stress and conflict, frustration and exhaustion. Parents respond by reassuring themselves that at least the benefits outweigh the costs. But what if they don’t? 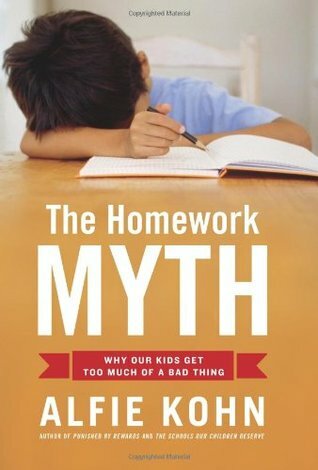 In The Homework Myth, nationally known educator and parenting expert Alfie Kohn systematically examines the usual defenses of homework–that it promotes higher achievement, “reinforces” learning, and teaches study skills and responsibility. None of these assumptions, he shows, actually passes the test of research, logic, or experience. So why do we continue to administer this modern cod liver oil–or even demand a larger dose? Kohn’s incisive analysis reveals how a mistrust of children, a set of misconceptions about learning, and a misguided focus on competitiveness have all left our kids with less free time and our families with more conflict. Pointing to parents who have fought back–and schools that have proved educational excellence is possible without homework–Kohn shows how we can rethink what happens during and after school in order to rescue our families and our children’s love of learning. Sometimes you wonder if the universe is somehow intervening when serendipitous things occur. When my job was getting hard to do due to bullying at work and being surrounded by a lot of negativity, Angela Watson, whose blog I followed, asked for guest reviewers for her new book at the time. I signed up and crossed my fingers, thinking there was no way she would pick me because she had no idea who I was and my blog certainly did not have a large readership. 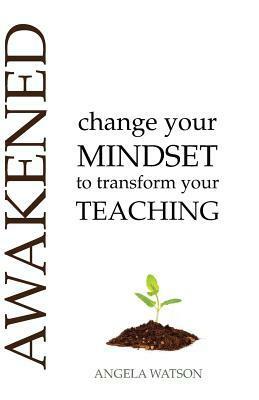 A few weeks later, Awakened – Change Your Mindset to Transform Your Teaching arrived in the mail. This book gave me concrete tools to deal with all of the negativity that was surrounding me, it allowed me to feel the way I felt, but at the same time also move away from that dark place. This book changed my emotional toolbox of how to deal with life, particularly in the vulnerable;e state as a teacher. Now, 4 years later, I still use the methods and tips that Angela Watson gave to me in this book. I am telling you, it works, and it has saved me so many times when my day has been really tough. Is a lack of resources and support stealing your enthusiasm? Are the small daily hassles adding up and overwhelming you? Awakened provides simple steps to help you feel peaceful and energized, no matter what’s happening around you. Drawing upon principles of stress management, cognitive behavioral therapy, spiritual truths, and personal experiences, Awakened helps you develop thought habits that produce an unshakeable sense of contentment, motivation, and purpose. Learn how to renew your mind and take a fresh approach to the challenges of teaching! 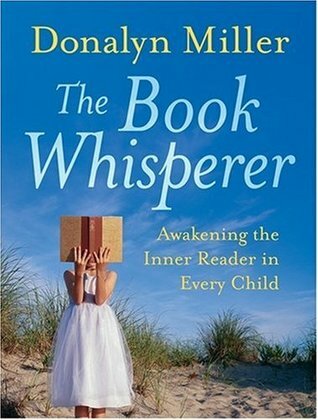 I wonder if Donalyn Miller has ever found out how many teachers her book The Book Whisperer – Awakening the Inner Reader in Every Child has helped. How many teachers have found the courage to finally create environments where students thrive as readers? Where what we do as teachers helps our students rather than harms them. I read this as a 4th grade teacher and yet now as a 7th the words of this book ring true even more. Kids need room to read. Kids need teachers that care/ Kid needs a chance to fall in love with reading and Donalyn Miller shows us how. It changed the way I taught literacy and continues to influence me to this day. 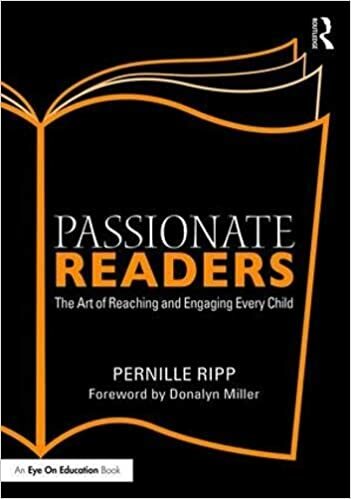 Rich with classroom examples and practical advice and stitched together with the thread of Miller’s passionate voice, this book will help teachers support students of all levels on their path to reading success and points a way out of the nation’s literacy crisis. The book also includes an invaluable list of books that students most enjoy reading. While these books have already shaped me there are two more books that I would like to highlight here. I had the chance to meet “The Weird Teacher” himself, Doug Robertson, this week and was so impressed by the care, the energy, and the passion that he brought to changing education that I went home and ordered his book. I didn’t even ask my school to purchase it for me because I wanted to read it now. So while I cannot talk about how it has changed me, I have a feeling after meeting Doug, that the book will change me. 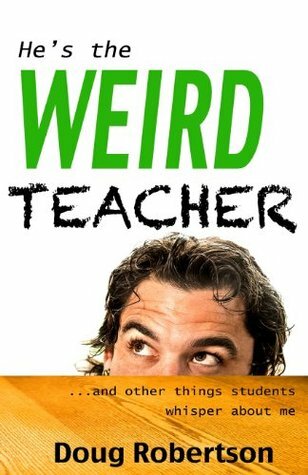 So I will do a preemptive recommendation of He’s the Weird Teacher…And Other Things Students Whisper About Me by Doug Robertson. I will let you know what it does for me. Doug Robertson takes all the creative energy and zany antics he uses to inspire the students in his classroom and has channeled it into a fun to read, irreverent, but deeply meaningful guide to teaching. And finally, I have to share the story of my own book that is coming out on September 22nd. It is a practical guide on how to empower, innovate, and create classrooms that our students actually want to be a part of. 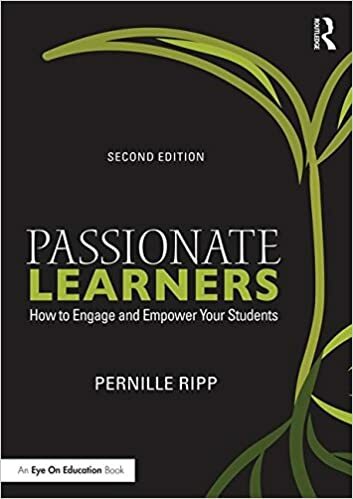 The 2nd edition of my book Passionate Learners – How to Engage and Empower Your Students is meant for any teachers looking to make a change. It is meant for the teacher that sees that education can be done better, that we are losing students every day in our classroom and we have to do something about it before it is too late. It is meant to inspire but even more importantly also to provide the “How”; how do we actually create passionate learners (and teachers!)? I hope this book will help others as much as the previously mentioned books have helped me. • Limit homework and traditional grading so that your students can make the most of their learning experiences without unnecessary stress. New to the second edition, you’ll find practical tools, such as teacher and student reflection sheets, parent questionnaires, and parent conference tools–available in the book and as eResources on our website (http://www.routledge.com/9781138916920)―to help you build your own classroom of passionate learners. So which books made you who you are? I’m not even sure how to respond to a post that includes my book alongside Alfie Kohn’s and Donalyn Miller’s except to say *thank you*. It is an honor, especially considering how much your book has touched me and impacted my practice. I’m with you on all of those books, Pernille! Great choices! Thanks for sharing your journey Pernille. These are thoughts and ideas that I share regularly. I admire your ability to put them into writing and your courage ins haring with the world! I have read the work of Kohn before as I remember a summary of the research coming through some literature many years ago. I was privileged enough to work in one school where I was given permission to not send homework home and then I needed to educate the parents. It was an interesting process because a lot of parents subscribe to the ideas that have been ingrained about developing study skills etc. Ah – some great reads here! I’d like to add one that has shaped the way I speak with children (and it’s leaking into how I speak with adults) – ***CHOICE WORDS*** by Peter Johnston. A gem. Thank you for sharing, Pernille! I found your website through Angela’s book club. As I’m reading these posts, I feel as if finally someone gets it! Thank you for giving educators your knowledge and I am excitef to read your new book.